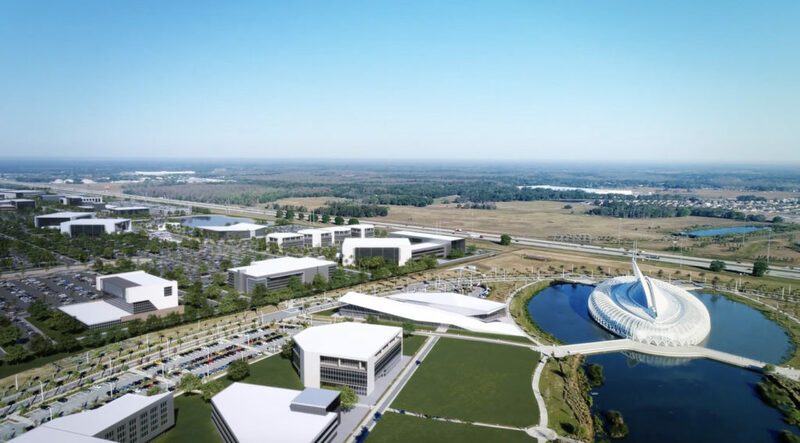 LAKELAND, Fla. – Florida Polytechnic University officially released Florida Poly 2.0, its blueprint for the future of the University consisting of a five-year strategic plan and the vision for a robust research park adjacent to campus. Titled “Advancing to Excellence,” the strategic plan outlines the academic and economic goals the University will work to attain by the year 2023. 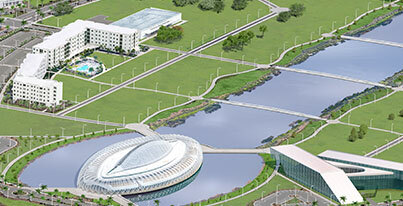 One of those goals is to influence the economic development of the 4,000 acres that surround Florida Poly, to create a research park that would bring together industry, academia, and government. The new strategic plan was approved by the Board of Trustees and identifies four main priorities based on dominant higher education trends: degree alignment, student success, economic development, and affordability, and efficiency. The plan details how Florida Poly will address these priorities through 16 goals, plus includes a new mission and vision for the University. As Florida Poly enters its next phase, one of the priorities will center on strengthening its unique STEM curriculum. The plan details that by 2023, the University expects to have five new programs in engineering or applied-science disciplines. Graduate programs will also experience growth within the next five years as new tracks are added in robotics, control systems, logistics, and data analytics. Florida Poly will begin offering online credits as well, as a way to complement the in-class options. “We’ll solidify our curriculum and increase Florida Poly’s impact by expanding the number of degrees we offer and continuing to build programs and efforts that lead to highly sought-after graduates,” said Avent. Scholarships will continue to play a crucial role in Florida Poly’s success. The plan outlines that over the next ﬁve years, the University will increase its endowment to $1.5 million while raising an additional $5 million in new scholarships. These are generally funded by donors who want to provide the needed resources to students through endowments and restricted funds. “I believe we have developed a challenging but attainable set of objectives and the means for measuring and evaluating our progress while being consistent with the goals of the Board of Governors and the State University System,” said Avent.